The all-new 2019 Nissan Micra is guaranteed to put a smile on your face. This easy to drive subcompact car is not only affordable, but it is also easy on maintenance, and wonderful on gas! The 2019 Micra comes powered with an advanced 1.6-Litre 4-Cylinder Engine, including your choice of 5-Speed Manual or 4-Speed Automatic Transmission. The Micra also offers you excellent fuel economy with 6.8L/100 KM on the highway! In addition, you’ll have plenty of passing power, thanks to the 109 Horsepower – making highway driving effortless! Plus, at just 4.6 meters long, the Micra makes parallel parking a breeze, and maneuvers easily into all tight spaces. Inside, you’ll be greeted with an airy and spacious interior, thanks to the generously-sized windows and unique hatchback design. Plus, with such great standard features as a 7-Inch Touch Screen Display, a Rearview Monitor, Siri Eyes Free, a Trip Commuter, and the Bluetooth Hands Free Phone System, you’ll always feel like you’re riding a step above the rest. The AM/FM/CD Audio System also lets you enjoy all your favorite music through its 4-Speakers, including the MP3/WMA Playback Feature. Let’s also not forget that when you need room for larger items, you can fold down the 60/40 Split Rear Seats at the pull of a lever to create 819.5 L of space. Amazingly the 2019 Nissan Micra also offers a wide range of standard safety features including an Advanced Air Bag System, an Advanced ABS System – including Electronic Brake Force Distribution and Brake Assist, Vehicle Dynamic Control with Traction Control, a RearView Monitor, a LATCH System, and a Immobilizer Key System. 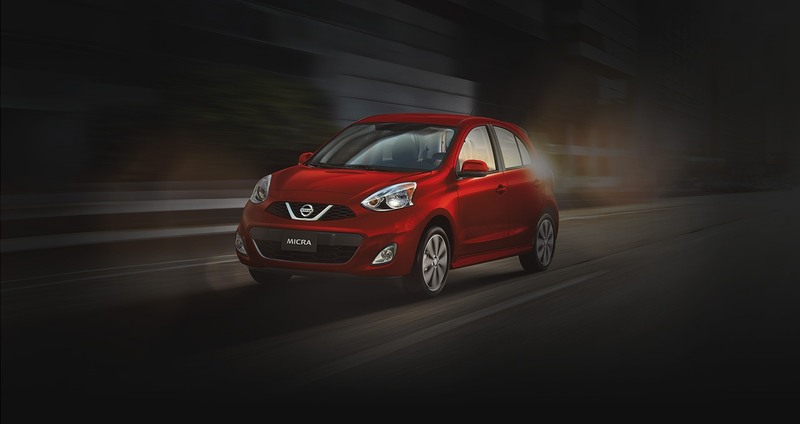 The Nissan Micra was voted a 2019 Best Buy in the City Car category by The Car Guide. If you are interested in steeping into a brand new 2019 Nissan Micra, then please stop by and see us, or take a look at our 2019 Nissan Micra Online Inventory!